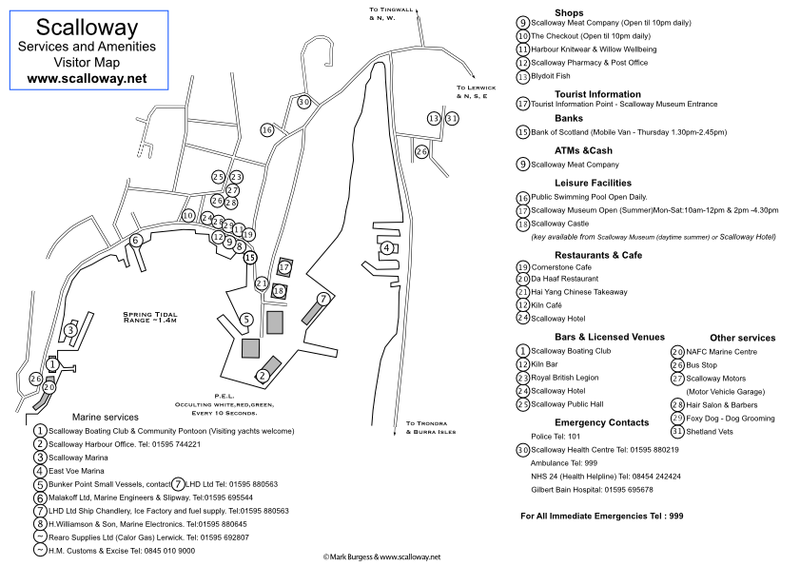 Map of Scalloway services and amenities. Includes basic harbour information. This map was originally created for visiting yachts – hopefully it can be useful for any or all visitors. See other pages in this site for simplified maps and more information. Click below to download a pdf file of the map to save, print and carry. This map and the website are free to use but please consider a donation if the website helps you. Recommended donation for using the map, and this website, is the price of a cup of coffee.